Our skin is made up of three layers: the epidermis, the dermis, and the subcutaneous tissues. When our skin is burned, each layer of skin can be affected depending on the severity of the burn. First-degree burns typically affect the epidermis, second-degree typically burns affect the dermis, and the worst type of burn, third-degree burns, extend deep into the layer of subcutaneous tissues. Third-Degree Burns are the most serious and potentially life-threatening type of burns. All charred skin layers are completely destroyed, and muscle, fat, the bloodstream, nerves, major organs, and bones may be affected. This type of burn requires immediate treatment via 911. Third-degree burns carry the most risk for complications, like infections, shock, tetanus, and hypothermia, and the extent of skin damage can have painful effects for months, if not years. Don’t Treat a Third-Degree Burn at Home! Since third-degree burns require the most medical attention, they are often assumed to be the most painful type of skin burn. However, this isn’t always true. With third-degree burns the skin damage is often so extensive that you might not feel any pain at all due to the nerve damage. 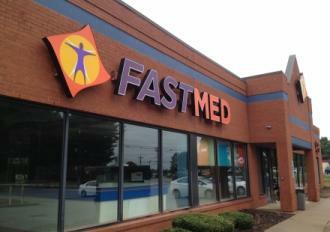 If you suspect you have a first or second-degree burn, visit your local FastMed for treatment. We are open with extended hours every day, even on weekends and holidays. Our staff of medical professionals will treat your burns quickly, as we try to have you seen within one hour of arrival.